The cloud forests of Haiti’s Macaya National Park are believed to carry the world’s largest concentration of endemic amphibians. Island ecosystems are hotspots for biodiversity, and historically, Haiti was no different. But a dire new study published Monday in the Proceedings of the National Academy of Sciences claims the Caribbean country has less than 1 per cent of its original primary forest left. By around 2035, all that forest is estimated to be gone, leaving Haiti’s wildlife—from endemic orchids to the Mozart’s frog—with no safe place to go. Or that’s the story the study tells. Other researchers who’ve spent time in Haiti studying its forests aren’t sold on the methodology or the narrative around the need for untouched forests to support biodiversity. The study authors, who work with the Haiti Audubon Society, Temple University, the US Forest Service, and Oregon State University, expect Haiti to lose up to 83 per cent of its species by 2036. By their estimates, the country is in the throes of a mass extinction event. The researchers examined satellite images of the country’s forest cover from 1984 to 2016. In 1988, their analysis showed primary (aka undisturbed) forest made up 4.4 per cent of Haiti’s total land cover. By 2016, that number had dipped to 0.32 per cent. Only eight mountains in Haiti contain primary forest now, compared with 43 of the island’s 50 mountains in 1988. The data shows that the secondary growth that’s largely replaced Haiti’s original forestland supports a fraction of the biodiversity. 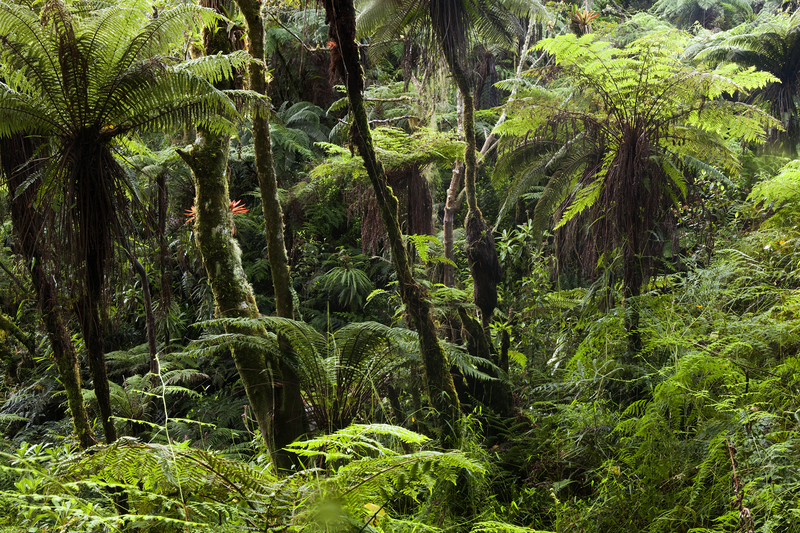 The team checked out the 10 highest mountains firsthand between 2009 and 2015, and they found “significantly more” endemic species and species, in general, in primary forests. When looking at specific sites on these mountains, the average total species richness per site dropped 66 percent without primary forest. For endemics, that number stood at 88 per cent. Why has primary forest become nearly non-existent in Haiti? It’s complicated. The nation’s deforestation woes trace back to the 17th century when French colonisers invaded the land and cleared forests for slave plantations, per VICE. Since colonial times, modern agriculture and charcoal production have only exacerbated the loss of primary forest. The major 2010 earthquake didn’t make anything better. While many environmentalists have historically blamed poverty and the people of Haiti people for the loss of trees—in 2016, a meteorologist even made the wild (and false) claim that starving Haitian children eat them—some researchers who have spent time on the ground in Haiti have called claims of dramatic deforestation, including those made by the new study, overblown. Peter Wampler, a geology professor at Grand Valley State University, is one of them. He’s spent time in Haiti since 2007 and has seen firsthand the way community members take care in handling and protecting their trees. He knows that tree cover and biological diversity have decreased in the study period the authors examine, but Wampler also found the methodology “subjective and biased to ensure that Haiti will eventually reach 0 [percent] primary forest cover,” he wrote in an email. That, in turn, creates a hopeless situation for the people in Haiti who are the ones actually impacted by a loss of biodiversity and trees, he said. Wampler also pointed out that the study used a very strict definition of forest cover that only included primary growth and areas with 70 percent tree cover—much higher than standards the United Nations uses. Other studies that have used 10 percent as a threshold, for example, peg the country-wide forest cover at 32 per cent. Andrew Tarter, an anthropologist who’s studied the relationships people in Haiti have to trees, said in an email that this strict threshold represents a “conservationist” viewpoint. And he emphasised secondary tropical forest that’s regrown should still support biodiversity. No one disagrees that deforestation is a problem in Haiti. That doesn’t make it any less complicated, though, especially in a place wrought with the scars of colonisation and slavery. And many would argue hopeless numbers and expiration dates solve nothing. What Haitians need is an opportunity to restore the land they live and depend on every single day.